There are more than 3,000 varieties of pear trees, fruiting and non-fruiting, available around the world. 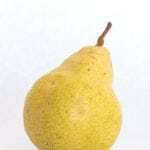 Pear trees are relatively easy to grow and can produce an abundance of fruit in the home garden. However, sometimes gardeners become frustrated when they have a pear tree not producing. Let’s learn more about non-bearing pear trees. Fruit trees require full sunlight and well-draining soil in order to thrive. If planting more than one tree, be sure to leave adequate space in between for airflow. Young trees should be pruned to help them develop a framework with a strong central leader and reduced vertical growth. When Should Pear Trees Bear Fruit? A tree purchased at a nursery is usually one or two years old. The time that it takes a tree to mature enough to produce fruit depends on the variety of tree. Dwarf varieties generally bear one to three years before standard-size trees. Healthy trees produce healthy fruit. If a pear tree is weak, stressed or diseased, it will produce very little fruit or poor quality fruit. If a pear tree has no fruit, it may also be due to the fact that it did not receive the necessary amount of cold weather to break dormancy and encourage new growth. All fruit trees require proper pollination in order to produce fruit. Most pear trees are completely or partially self-pollinated, so it is necessary to plant more than one variety if you wish to have fruit. Now that you know the most common reasons for non-bearing pear trees and when should pear trees bear fruit, you can better manage this issue. 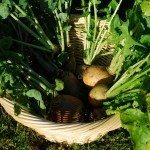 The most important factor in preventing a pear tree not producing is to provide the most optimal conditions for growth and overall health.